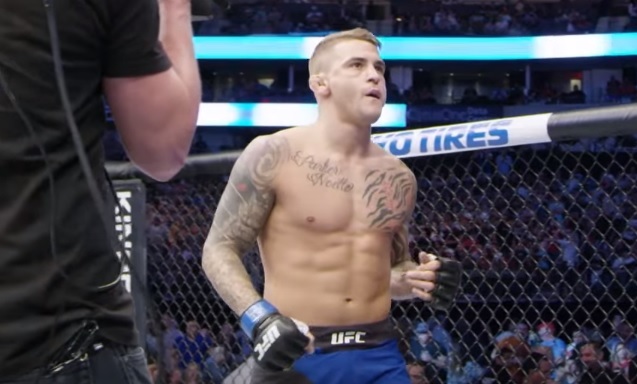 Eddie Alvarez caused a stir earlier on Thursday by tweeting out he’ll “see” Dustin Poirier in Calgary. But, his rival and fellow lightweight contender maintains a July 28th bout between the two is doubtful. Recently it’s been reported that the UFC is hoping to add the lightweight fight to the upcoming, Fight Night card. 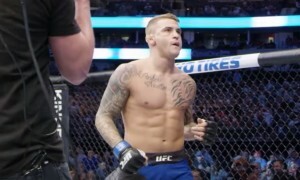 Following Alvarez’s tweet, however, MMA Junkie spoke with Poirier, and “The Diamond” said a deadline he set for the rematch to get booked has past. “I had a trip to Asia planned. I’d have to really cancel a bunch of stuff, and I would have if they’d let me know in the week and a half I gave them to say yes, for him to get his contract figured out. Poirier and Alvarez fought last May, but the fight was declared a no-contest, after the latter struck the veteran with an illegal knee. Update: Since this report, Poirier has tweeted out the comment below to Alvarez.